On our first day we headed to the iconic Bondi Beach which is a bus ride away from the centre of the city, as we wanted to do the Bondi to Coogee coastal walk that I had read so much about. 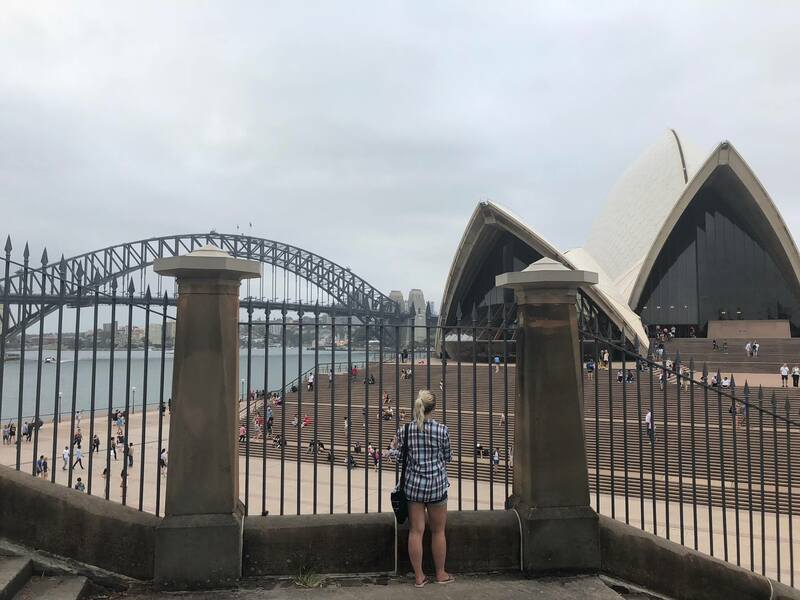 I tried to fit all my Bondi Beach thoughts into this post but it made it such a monster that I decided to do a separate post, so you can read all about that in my next blog post. This was one of the most expensive things we did on our Australia trip but it was worth every penny. 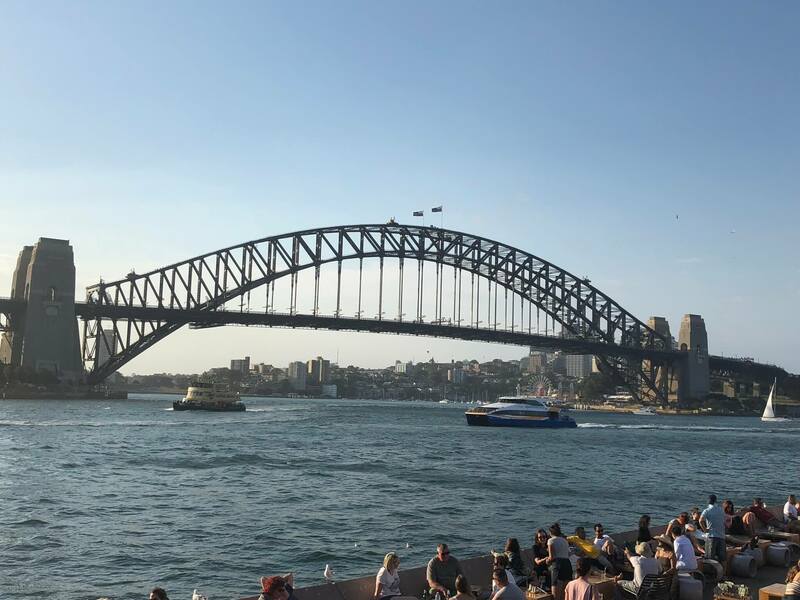 We did the full bridge climb which took about three hours and we walking to the top of the bridge and then back down the same way, stopping at various points to admire the view and to learn more about Sydney and the construction of the bridge. Our guide was great – really knowledgeable and funny – and, needless to say, the views were incredible. I even felt slightly emotional looking out over this iconic city which I’ve wanted to visit for so long. It’s not scary at all as you’re strapped into a harness and clipped on and you also feel quite enclosed, so you can relax and enjoy your surroundings. 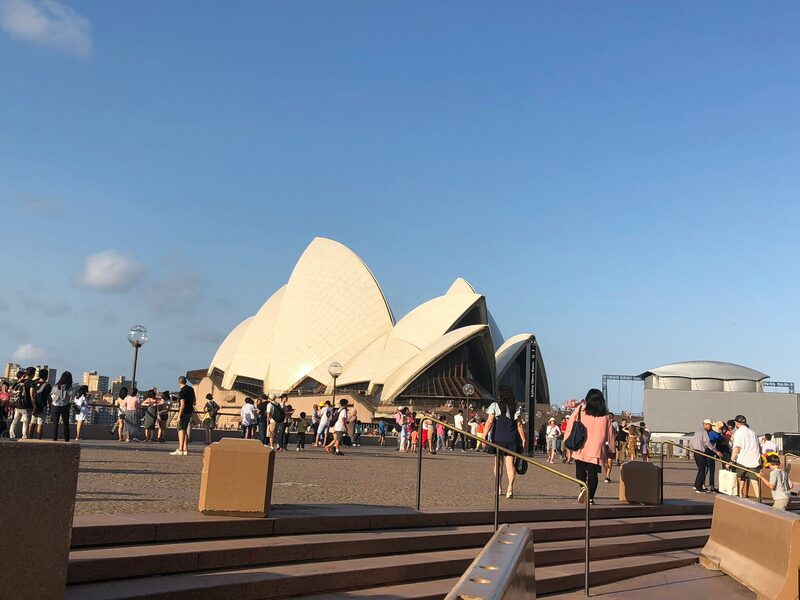 No visit to Sydney would be complete without a trip to the Opera House and a picture on the steps there! I thought the building looked smaller than I’d imagined but it was great to wander around it in the sunshine. You can do tours of the Opera House but because we were short on time we decided not to on this trip. 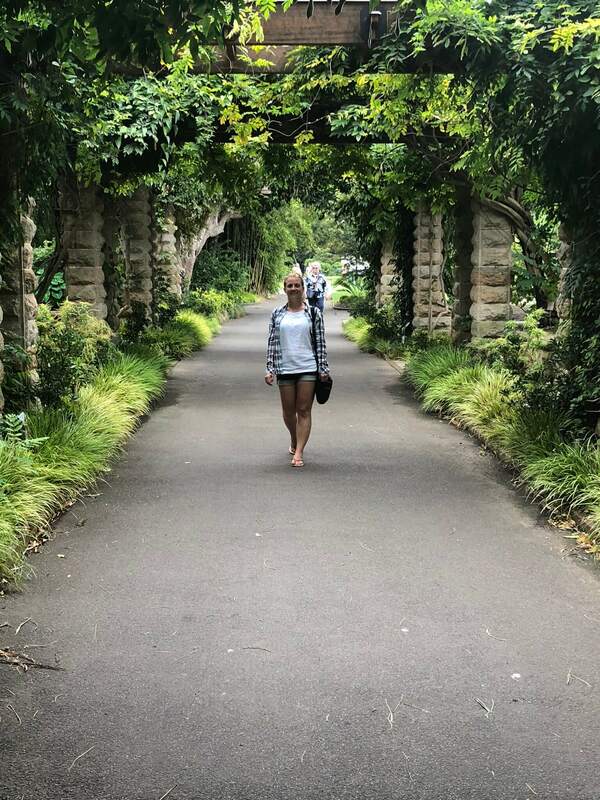 We spent hours wandering around the Royal Botanical Gardens which are located near on Sydney Harbour. The gardens are free to explore and are one of the most visited attractions in the city, covering 74 acres. There are lawned areas, a rainforest walk, oriental gardens and so much more to see. We were captivated by the wild cockatoos flying from tree to tree and we could have stayed in the gardens for longer. 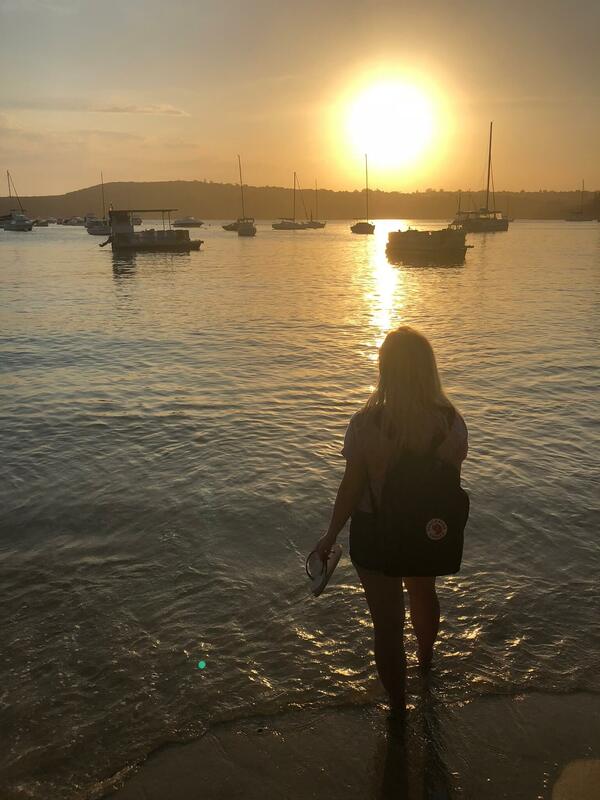 We took the ferry over to Manly Beach for a sunset walk on the beach. You get some amazing views of the Opera House and the Harbour Bridge from the ferry so it’s worth taking just for the photos. We’d have loved to spend the whole day on Manly Beach as it was so beautiful but we only managed to get there in the late afternoon when the tide was in. We still had a paddle and watched the sun set here before hopping back on the ferry to Central Quay. 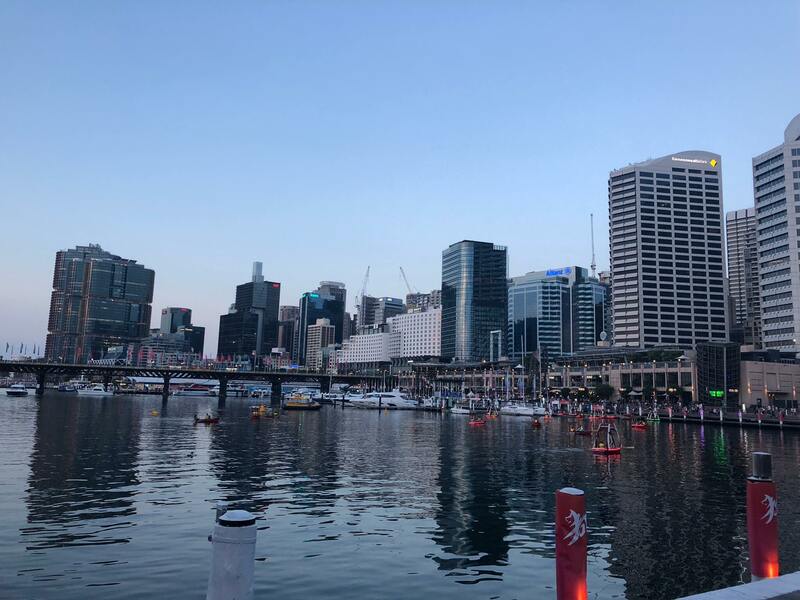 We ate in Darling Harbour on our first night in Sydney. We loved this modern area of the city – there was a Greek festival on here with live music and food stalls, and lots of decoration and an outdoor cinema celebrating Chinese New Year. We ate at The Watershed, overlooking the harbour, and feasted on fish tacos and pizza and we had a couple of drinks here too. This restaurant turns into a club from 9pm on a Saturday which is slightly strange, but it’s a great place to sit and take everything in. After our Bridge Climb we ate a late lunch at the Australian Heritage Hotel, one of the oldest pubs in Sydney. 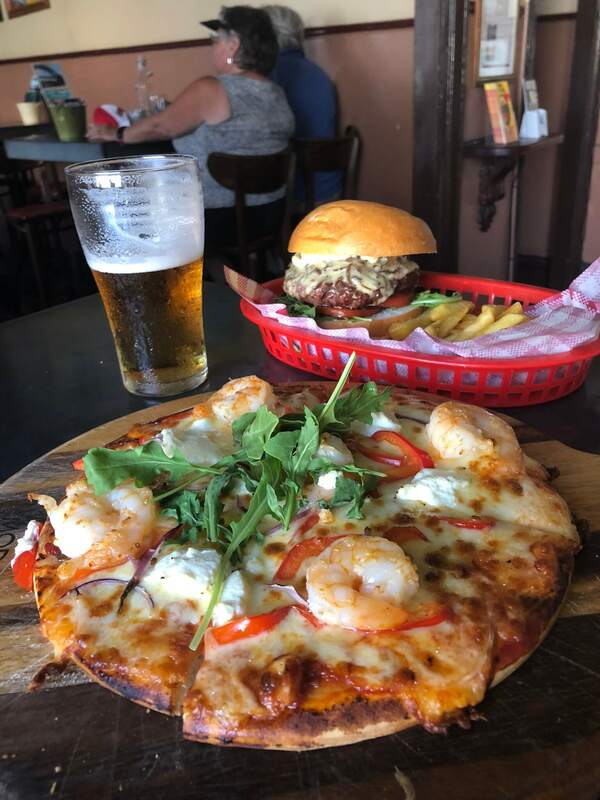 They are famed for their wide range of beers and pizzas – they even do a “coat of arms” pizza which has emu and kangaroo on it. I opted for the garlic prawn one instead. 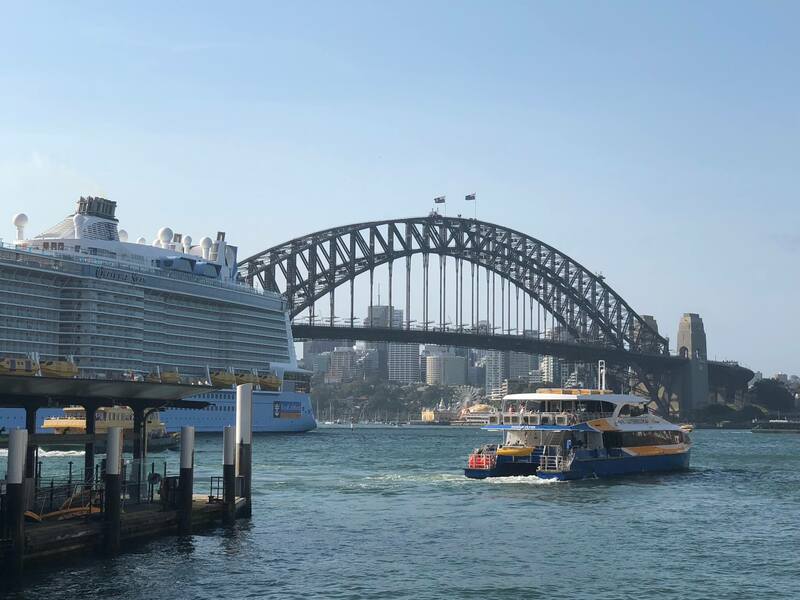 The Glenmore is close by and has a rooftop terrace with amazing views of the Sydney Opera House and the Sydney Harbour Bridge…well apparently – there was a huge cruise ship in the dock when we were there! We stayed at Sydney Central YHA which is located in the CBD (Central Business District) of Sydney. The hostel was great – modern and clean with a bit of a party atmosphere and full of people of all different ages from lots of different cultures. There was even a rooftop swimming pool and a balcony with great views of the city. We didn’t actually like the area very much though – there were lots of dodgy people around and I probably wouldn’t have felt comfortable walking around at night time by myself. I’ve heard recommendations from quite a few people that the Potts Point and Surry Hills areas of Sydney are great, so if we were to go again we would probably try those out. 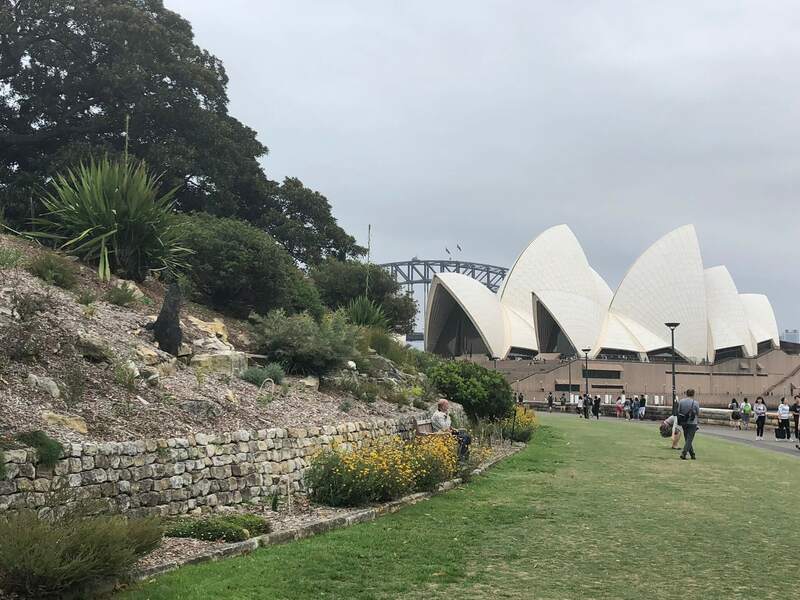 – I found public transport in Sydney quite difficult to negotiate compared to the tube in London, however, the bus to Bondi Beach was simple enough (you’ll know you’re there when you see the beach!). You’ll need to buy an Opal card and top it up and you can do this in any convenience store. I relied on Google Maps for bus information and it didn’t send us wrong. – You can use your Opal card to travel on the Manly ferry and it’s included in the $2.60 Sunday. – Don’t forget to pick up a map of Sydney from your hotel/hostel – it’s easy to navigate as everything is split into blocks like in America.